You won't be able to Online Art Purchasing until after the Open Studio Sale. Send me an email if you need art earlier! When you click a piece of art, the first image you see will be the complete painting. Beneath the larger is an image or images to help you see the works in different settings to help you determine scale. This should also help visualize the piece at your own home. Because computers/photos/lighting can make the colors vary greatly having multiple images helps you determine the overall feel of the painting. Frames are a nice way to showcase a piece of art but with my work you are buying the painting, not the frame. Let's face it. An artist can’t go buy an amazing, high dollar, top of the line frame for 85 pieces of art. It is not feasible. Often the framing for a show can be what puts artists in debt up to their ears, to be honest. Typically, artists frame for simplicity, economy and unity of exhibition because the point is to show the art to its best advantage only, not for any specific place it may hang. Changing the frame on a piece of art after you buy it is easy so don't let that be why or why not you buys a piece of art. 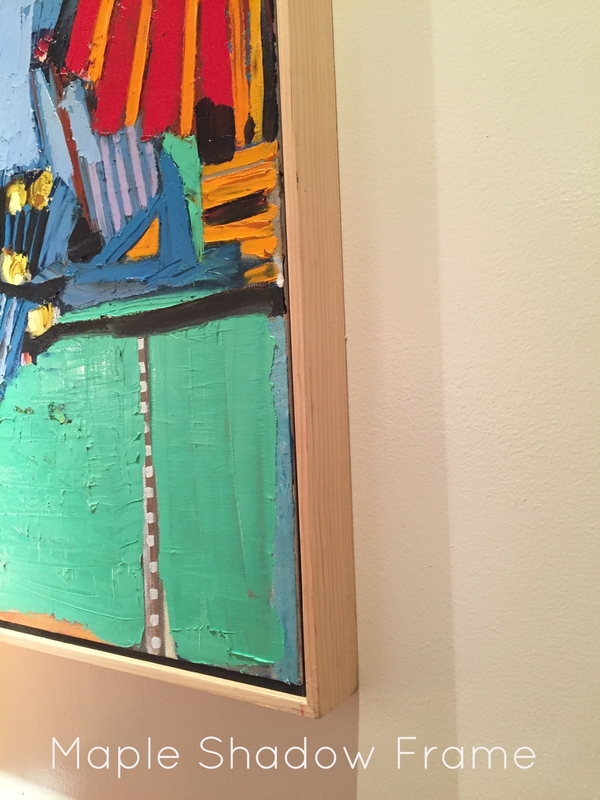 A big elaborate crazy, fancy, gold frame on an abstract is a look I love personally, and have included on some pieces in this show, but can I normally afford that for all the ones I sell? Not likely, plus I have been accused of eccentric tastes sometimes (bright pink chandelier type decisions) so there is that to consider, too. I mostly go for exhibition level framing that compliments the work. I do try to send most of them framed but I am notoriously rough with my own artwork so there may be a small ding or scratch but I will do my best not to have that happen. But make sure you know you are buying the art not the frame. The frames are easy to replace but the art is not. Here are some pictures of the frames I use to help you see their detail. If you are local I have a wonderful Framer, Skip Stockdon, who can frame any oil painting beautifully and very reasonably. I am happy to give you his information if you would like it, just contact me. Almost all of my work is framed in shadow or true shadow frames. The only difference is the shadow frame has a black insert to appear as if it is a floater frame while the true shadow frame has the actual space. This kind of frame is more contemporary and more importantly to me, since I paint edge to edge, I do not lose any of the work by having a frame overlap into the art. It is a very low key and classic framing style. Every now and then I will frame without a shadow frame if I am looking at a frame I think will compliment the work. The two frames called Maple Shadow Frame and Maple Shadow Frame Large are handcrafted here in Richmond, Virginia, but a talented man names Skip Stockdon. 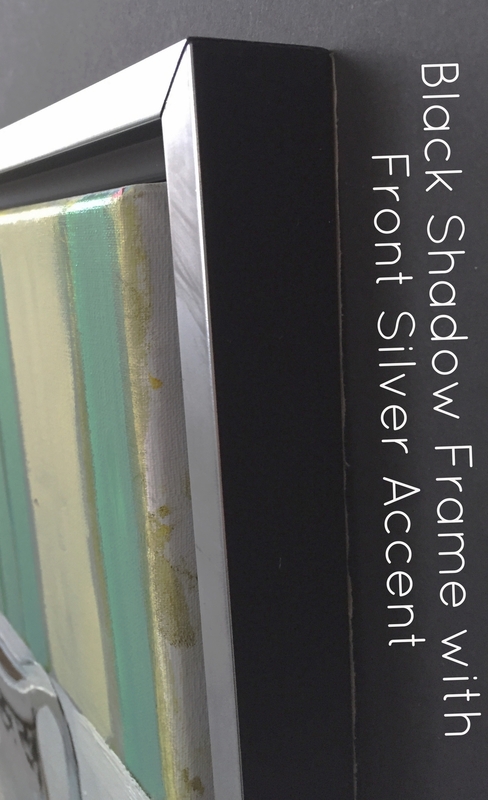 Maple Shadow Frame is an implied floating frame in that the black wooden liner touching the artwork is not actually recessed but appears that way when hanging. On the Maple Shadow Frame Large there is an actual space to make it a true Floater. Maple Shadow Frame is 2 inches deep with the Large one being 2.5 inches deep. Keep in mind that the large frame has a true space and will add approximately 2.5 inches in width and height to its measurements. 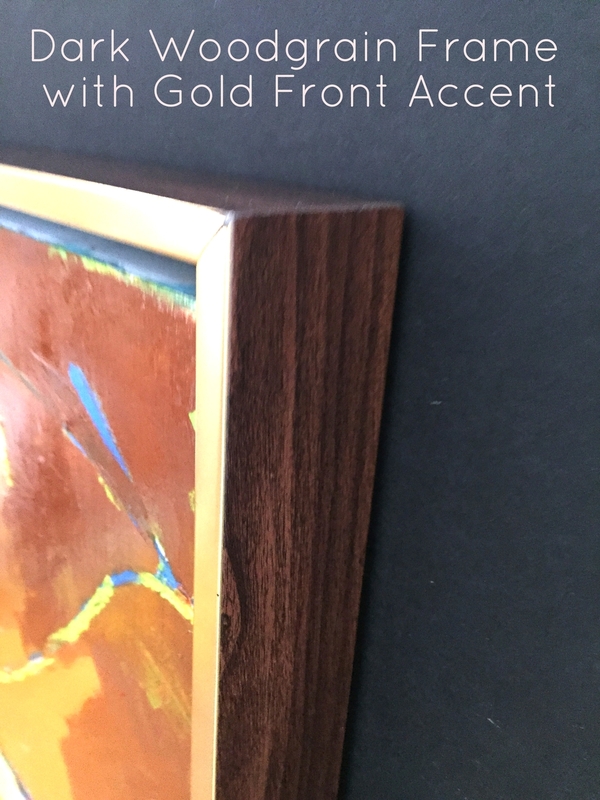 The Dark Woodgrain Frame with a Gold Front Accent is 2 inches deep and is a true floater frame. Back Shadow Frame with Front Silver Accent is 2 inches deep with the exception of the still life being framed in ones hat 1.5 inches wide.The difference is only because of the size of the original canvas I chose to paint onto. 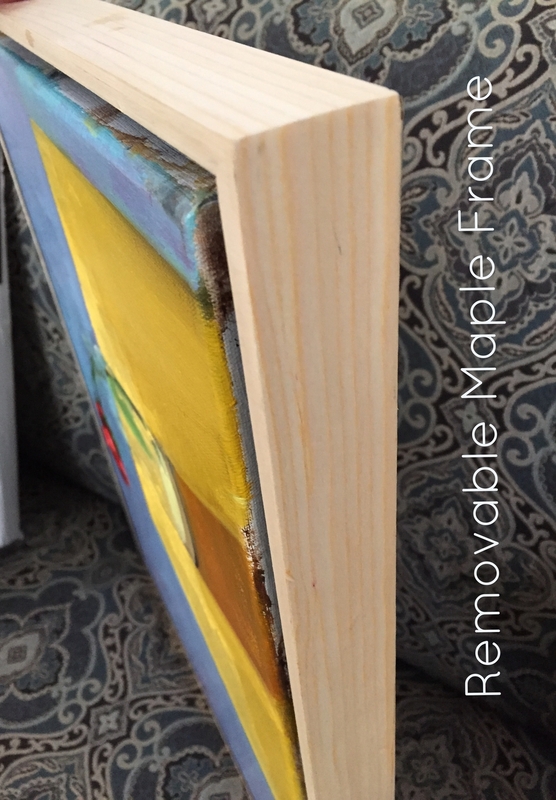 Removable Maple Frame is a true floater frame that is attached to the canvas on the back. It is 2 inches deep on large work and usually 1.25 inches deep on small work. Just relax and enjoy looking. You don’t have to buy anything to enjoy looking. I am a big fan of just taking it in. When I buy a piece of art it is for two reasons. I loved it on first sight and buy it right then (and am worried until I own it that someone is going to buy it before I have a chance) or I love it and talk myself out of it for one reason or another and then can’t stop obsessing on it and buy it the next day. If you do not think about it don't buy it! I have preached this over the years to people that for me there is: First look gotta have it crazy love and then the can't get it out of my head love that maybe didn’t blow you away the first time you saw it but you keep on thinking about it. When I have one of those two feelings. I buy it. Keep in mind that all work is photographed by me and I am not a professional photographer, so try to get past some of the more challenged photo’s and look at the art itself. The paintings are in my house only to show you scale and setting, but it will be YOUR house. You love it but the wall color in your house is awful? Paint the wall. Seriously. Don’t not buy a painting because of a wall color for it isn't right. Wall Color is the easiest thing to change to really make a painting look great and you can have a whole new look. Lighting on artwork is important. Artists paint in bright light. All of them (ok, most of them) paint that way so if you try to display them in a murky place then the piece will probably feel murky itself. Feel like you have some paintings in your house that don’t look good? Chances are the light is not great. Just move them around and see. Pieces look different in different lighted areas of your house. If a piece of art you love isn't great in one place move it. You will be shocked to see how they change as they move from place to place. If you are reading this and even thinking about art i think you are a more evolved person. People who buy original art are just superior people. I can’t help but just say that. The reason is simple. It is true. Appreciating any form of art has always been a sign of people who realize that life is here to be explored. I am far more impressed and respectful of the small and rented apartment in the dicey area of town with even one original piece of art hanging than when I walk into a huge home filled with beautiful, expensive furniture with custom made curtains and see a Van Gogh or Monet print hanging, or even worse, no art at all. I can't even relate to no art hanging on walls (which is to be expected. ) Not being able to afford it is one thing I completely understand( this is why I am always happy to do a payment plan for ANY piece of art) as I spent a good deal of time in that category, but choosing not to hang original art when you can afford it just missing out on an incredible upgrade for your home. Here is the truth. Art lasts forever. You will not see oil paintings thrown away because they go out of style. Once you like it, you keep it. Paintings look different everywhere you hang them. Trust me, I change where the art in my house hangs at least once a year and am always reminded that where they hang matters. It is kind of a painting popularity contest. Art is eye candy. So buy some art. It is totally fine if you don’t like mine, not everyone is going to like every kind of artwork, but find some you DO like. Buy Original Art! Support Artists.